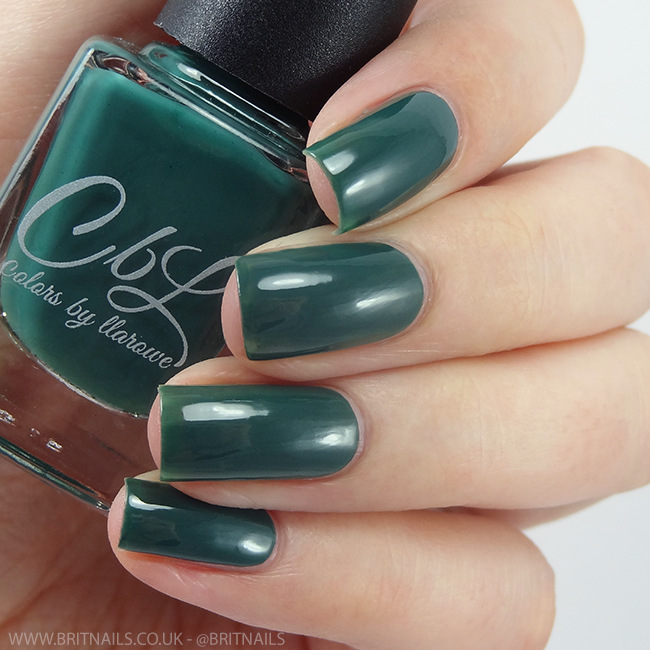 This is my first experience with CbL jellies/crellies, I've heard such good things so I had high expectations. This set of six was released alongside the Winter 2015 holo polishes, and it's so nice to have a break from holo sometimes. 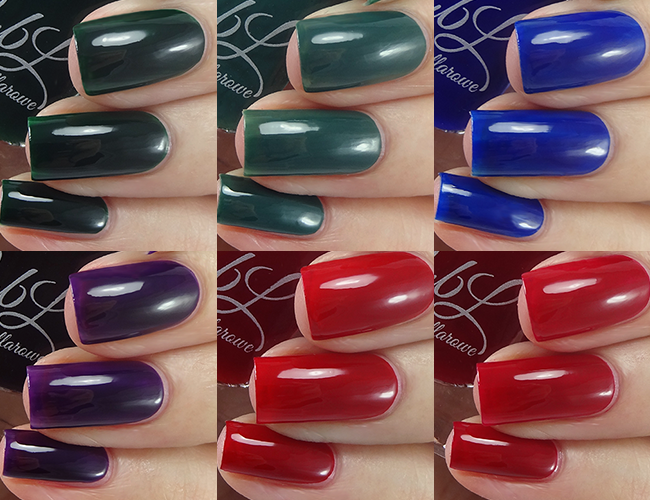 The formula across all six polishes is consistently good, a little thick but easy to apply with a super squishy payoff! Regal is a vibrant royal blue crelly with a slight violet undertone and is my favourite from this collection. It dries down to a slightly matte finish so I added top coat. Formula is smooth and easy to apply, I used 2 coats. 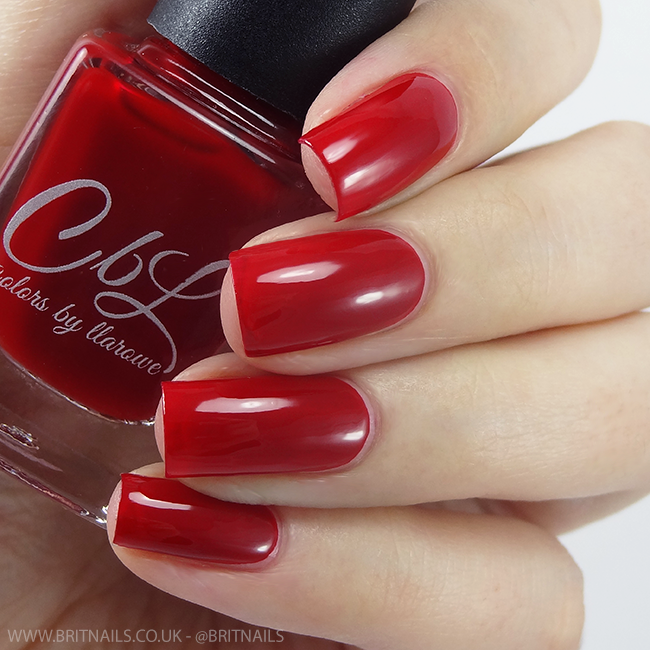 Devilish is a medium red jelly with quite a warm tone. If you're looking for a perfect red jelly, look no further, you've found it! A tiny bit more sheer than the others, I used 3 thin coats plus top coat. 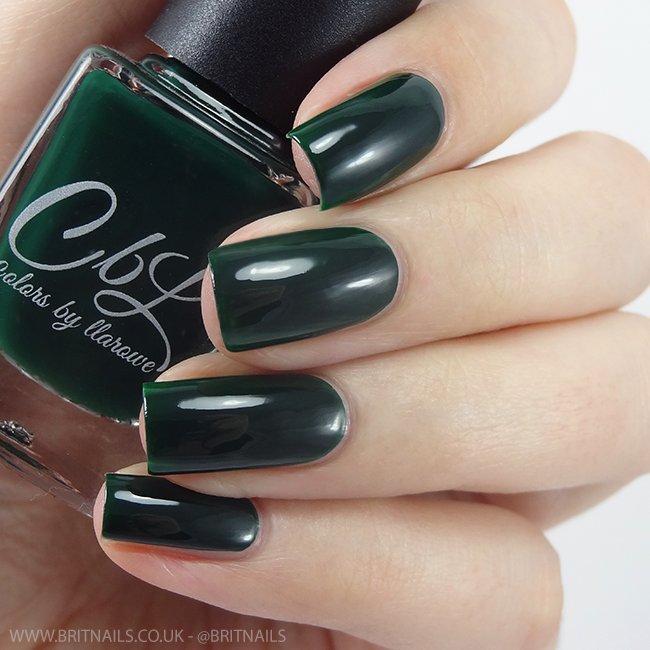 These are beautiful polishes and some of the best quality jelly/crelly formulas I've seen. I can't get enough of that squishy finish! Devilish and Red-y Or Not are very similar, very pretty though! Haha I so feel you on "crelly", /shivers! 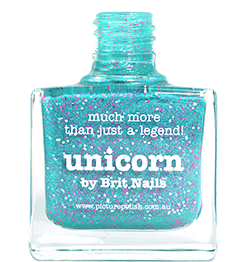 Not a fan of these on their own however I think they would look pretty awesome for nail art or jelly sandwiches! These all look so wonderful on you and your gorgeous nailbeds! Flawless swatches! I think I would like owning one or two or these, but as a collection I wish there was more variety.